Emily, thank you for taking the time to talk to us about your book. What prompted you to tackle a work that has been translated so many times before? 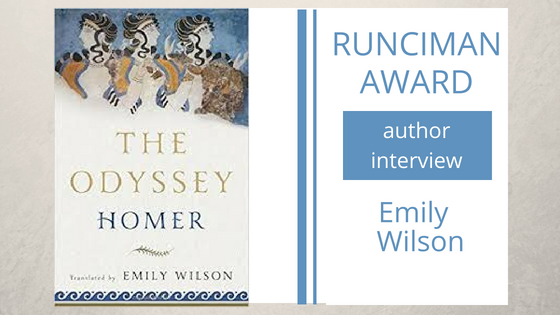 Was it your love of the Odyssey, the challenge, a desire to convey Homer’s message using a different voice, or a desire to remedy shortcomings in previous translations? It was partly my love of the Odyssey. But that in itself wouldn’t have been a sufficient reason. I could have gone on reading and studying the Greek poem, and loving it, without creating a whole new English translation of it. I could have written critical or scholarly articles about it, rather than a translation. I was asked to take on the project by Norton, and I hesitated, because there are so many renderings already in English, and it wasn’t worth doing if I was going to do the same as what was already out there, or if what was already out there revealed every element of the original in the clearest possible way, in the resources of the contemporary English language. I decided to do it because I felt the English speaking world did in fact need yet another Odyssey, because there were elements of the original that were obscured or not prioritized or not conveyed by the existing translations. Not that all other translations are bad; many are good in various ways. But I was aware that there were parts of the truth about Homeric narrative and storytelling and poetic technique and characterization that weren’t being told, that I felt I could tell. What does your version offer that others do not? Where does one start in revisiting such a great work? Did you take early decisions about your approach to style, verse etc., or did your choices crystallise gradually? I knew from the start that I wanted to create a verse translation. That was one of my most fundamental motivations for taking the project on at all. Most contemporary translations are either in prose or free verse — including the ones that are praised for their poetic qualities, like the Robert Fagles version. Free verse can be great, but the original poem is very regular metrically, and its predictable rhythm and music seems to me essential to the experience of reading it, and essential to its oral legacy. So I wanted to use iambic pentameter, as the equivalent verse form to dactylic hexameter: within our linguistic history, it’s the normal metrical form for narrative verse. I also decided at the start that I felt uncomfortable with the tendency of almost all existing translations to expand on the original. I wanted to make my version the same length, to make sure I kept up with the rapid pace of the original. How long did it take you to translate the Odyssey? As a conference interpreter myself, I often have to make split second decisions about how to render Greek into English. A translator has much more time to ponder his or her choice of words. Do you relish the opportunity to examine the source text from all angles and seek the ‘perfect’ translation (if there is such a thing), or is the process a form of torture at times? It took five years, and yes, it was frequently on a continuum between relish and torture. I spent a huge amount of time revising, reading out loud, revising more, rereading the original, reading it again, reading my version again, agonizing more, revising more, and so on. It was often deeply frustrating; I constantly searched around for synonyms, and constantly felt the limits of how much I could make my English echo the range of meanings in the Greek, as well as the contrary limits, the other connotations, not in the Greek, that were brought in by each English word or phrase. There’s no such thing as a perfect translation, and I know that. But I was still, constantly, agonizing over how to get closer and fail better. Even in revisions for the paperback, I spent a huge amount of time reading through again and revising yet again. It’s very hard to let go. It’s an enjoyable form of torture, because it’s so endlessly interesting. Your decision to use iambic pentameter means that your lines are shorter than Homer’s. Did you see that in itself as forcing you to compress the original into fewer words? Or, with many English words having fewer syllables than their Greek equivalents, was your compression more a matter of choice? I didn’t necessarily use fewer words, and sometimes I used more words. It varied a lot. I did quite often use fewer syllables per word, which was the only way that I could translate a hexameter poem into a pentameter poem, without increasing line count. I felt that the consistent need to weigh syllables carefully had a good effect on the clarity and punchiness of my style. In general, English doesn’t tend towards the formation of long compound words as much as Homeric Greek does; Homeric Greek is more like German in its fondness for the many-syllable-compound. Of course, English style can vary enormously and there are plenty of very long words in English. I was conscious that my choice of a shorter line entailed a choice to use fewer long Latinate words, and more (usually Anglo-Saxon) monosyllables. I felt that was mostly a good thing; it meant that my English sounds markedly metrical/ rhythmical, but not grandiose/ Miltonic, in the way that verse style with a lot of long words can sound, and that was largely a good thing, because Homer, too, is not Miltonic. I knew from the start that I wouldn’t have lots of phrases like “Bottomless Perdition” or “Adamantine Chains” or “multitudinous seas incarnadine” in this translation. That kind of grandiosity was a register I consciously tried to use sometimes in my translations of Senecan tragedy, because it was stylistically appropriate; but it felt all wrong for Homer. The use of many fairly short words creates a straightforward and punchy feel which seems to me to echo something of the syntactical simplicity of Homer. My two constraints — using pentameter, and sticking to the line numbers of the original — also meant that in general, I didn’t translate a single Greek word by multiple English words as often as most translators do — because of course translations are usually longer than the original. As an example, the long word “polyphlosboio’, meaning “much-resounding”, is often applied to the sea: people in Homer often walk thoughtfully beside the shore of the “much-resounding sea”, polyphlosboio thalasses. The phrase, epithet and noun together, has 8 syllables in Greek. I usually chose shorter words to translate it and fit my line and my pacing, such as “the sounding sea”, which is only 4 syllables even including the article, “the”. I felt that my rendering managed, even with fewer syllables, to convey the alliteration (using “s”, like the original), and the beat of the waves. Another very famous, very long word in Homer is rhodydaktolos: “rosy-fingered”. It’s always applied to Dawn. Five syllables. I translated that repeated long metaphorical word many different ways, often using more than one word to unpack the imagery, but often not as many syllables as the original: “her fingers bloomed”, or “touched the sky with roses”, or “rose-red hands” — most of which are shorter in syllable count but convey, I hope, the vivacity of the metaphor. I knew that recreating something like Homer’s vivid poetic effects, within a completely different linguistic and literary framework, would require different linguistic tools. You describe the Odyssey as moving at a “nimble trot”. If anything your version trots even more nimbly; anyway compared with Chapman or Pope. Did you think that that brisk pace was more fit for our times, when everyone has a shorter attention span and expects narratives to go faster? Chapman and, especially, Pope are extremely expansive translators. So are several of the most commonly read modern translators, such as Robert Fagles, and the lesser-read ones too, like Antony Verity. Where Homer has one line, Pope will often add in a whole verse paragraph, much of it created by himself. It’s a very different translation style. 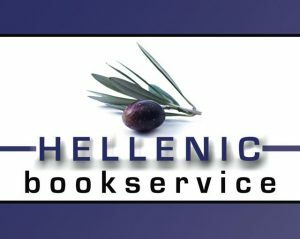 Homeric poetry was created for an illiterate or semi-literate audience, listeners who couldn’t be expected to go back and check what just happened, as a reader can do. It was also created for people to enjoy, not for people to be forced to read in class and be bored to tears. The original has a sparkling quickness to it. I’m honestly not sure I see evidence that listeners of the seventh century BCE had a lot more tolerance for slow narrative than we do. Certainly it’s not universally true that modern narratives are always faster than ancient ones. “Infinite Jest” is a modern novel, from 1996, and it’s far longer and far slower-going than the original “Odyssey”, and even slower going than Pope’s “Odyssey”. Modern people, including very young modern people, often read long books or series of books which add up to a longer length than Homer; just think of Harry Potter or the Twilight books. I personally find “Twilight” far less quick-paced than the Odyssey. A huge number of modern biographies are enormous door-stoppers: “Alexander Hamilton”, 731 pages; “Team of Rivals”, 913 pages. Steven King can run over a thousand pages for a single novel. Modern people eagerly sit through many seasons of “Grey’s Anatomy” or “Stranger Things” or “Breaking Bad”, or “The Wire” and we could argue about whether any of these shows are really faster-paced than Homer; I’d say they’re not. There’s an idea that Homer is both very slow going and very long, but I’m not sure those ideas make all that much sense. Setting all that aside, I do think it’s important for any writer, including the writer of a translation, to think about her possible readers. I knew that the potential readers for a new translation of the Odyssey would include people, of any age, who would be choosing to read or reread it voluntarily, for pleasure or edification, and also young people being forced to read it for a school assignment. I felt that the second category of reader, in particular, needed an Odyssey that is no more slow going than the original. Not necessarily faster, but not slower. Remember that the original is a work that people in antiquity actually enjoyed, and listened to for pleasure. I don’t think any ancient person thought of Homer as boring. The gripping, immersive quality of Homeric verse is something I find in the Greek; I don’t see it as a modern imposition. You are – famously by now – the first woman to translate the Odyssey into English. Your reviewers have tended to focus on that, either to praise your reading of the Odyssey which ‘exposes centuries of masculinist readings of the poem’, or to single out places where, as they see it, you have imposed female touches. How do you feel about the focus on gender politics? How do you answer the critics when they take against your female viewpoint? Read the answer to this question and others in Part 2 of this interview tomorrow.